International basketball's governing body to allow players to wear hijabs and turbans on a trial basis. International basketball's governing body, FIBA, said on Tuesday that players will be allowed to wear religious head coverings, such as hijabs or turbans, on a trial basis in some competitions, according to The Associated Press (AP). FIBA's central board met over the weekend at the men's world cup and voted to allow a two-year testing phase that would let players wear head coverings, the report noted. Previous FIBA rules only allowed a player to wear a 5-centimeter headband to control hair and sweat. That drew objections that the group was discriminating against Muslim and Sikh players, who wear head coverings for religious reasons. 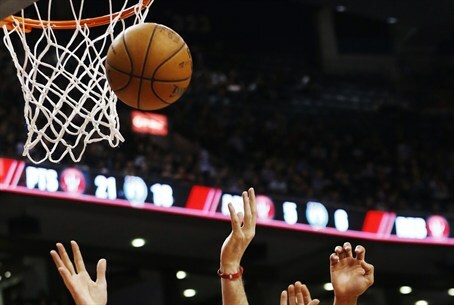 "We welcome this policy change by FIBA because it allows Muslims, Sikhs and others who wear religious head coverings to take part in the sport that they love while maintaining their beliefs," said the Council on American-Islamic Relations National Communications Director Ibrahim Hooper. "FIBA should be congratulated for responding positively to all those who sought reasonable religious accommodation for athletes of all faiths," he added, according to AP. During the trial, a national federation must petition FIBA to allow players to wear the head coverings. Once approved, the federation will have to submit follow-up reports twice a year. FIBA also said it will allow players to wear head coverings in its 3-on-3 competitions — nationally and internationally — unless it presents a direct threat to the safety of players on the court. The central board will evaluate the rule again in 2015 and determine whether testing at the lowest official international level shall begin next summer. A full review will be done in 2016 on whether it will be a permanent rule change after the 2016 Olympics. In 2012, soccer’s governing body FIFA changed its rules to allow female Muslim players to wear head scarves, after a campaign by executive committee member Prince Ali bin Al-Hussein of Jordan. Earlier this year, FIFA authorized the wearing of head covers for religious purposes during matches, thus allowing Jewish players to wear kippot during world soccer games.